The Disneyland Resort is proud to support local youth and the community through the following educational opportunities offered to K-12 students in Anaheim. Happiest Class on Earth inspires Anaheim sixth graders to make a difference through acts of goodwill that positively impact their community. Over a 10 year period, one Disneyland Resort 1-Day Park Hopper Ticket will be awarded to every sixth-grade student from Anaheim public or private schools who achieve this. Launched in summer 2016, the program has already provided theme park tickets to more than 9,000 Anaheim sixth-grade students from 48 elementary schools! Dreamers & Doers celebrates the power of possibility by recognizing Anaheim high school students who are making a difference in their community or school. 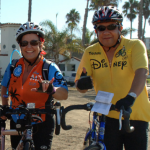 Since its inaugural year in 2015, the program has provided $23,000 in grants to high schools in Anaheim, and $15,000 in grants to Anaheim nonprofit organizations. 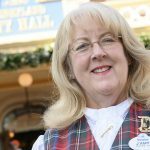 As an arts and entertainment company, the Disneyland Resort is committed to supporting arts education. 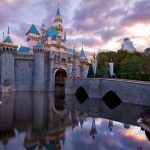 Last year, the Disneyland Resort partnered with many local nonprofit organizations, including the Pacific Symphony, Anaheim Ballet, Rhythmo Inc. Mariachi Academy, the Philharmonic Society of Orange County, and Anaheim MUZEO to bring outstanding arts education programs to Anaheim youth. Anaheim Music Makers Exploratory Wheel is a year-long music education program provided by the Anaheim Elementary School District. The program provides five sets of musical instruments to designated fifth-grade classes, and students learn to play each instrument in six-week intervals. The Disneyland Resort has committed to sponsoring this program at one Anaheim elementary school per year for the next five years, totaling nearly $400,000 in funding to music and arts education. Disneyland Resort proudly sponsors Rhythmo Inc.’s afterschool Mariachi Music Program for students at Adelaide Price Elementary and Benito Juarez Elementary schools. The program provides affordable music instruction to Anaheim elementary school students, including guitarron, vihuela, guitar, violin, trumpet, and voice lessons. Anaheim students benefit from support provided by the Disneyland Resort to environmental nonprofits who provide educational programming, including the (Anaheim) MUZEO Trash ARTtist Challenge, Inside the Outdoors science school and teacher trainings, Oak Canyon Nature Center’s Eco Fun Faire and mobile outreach, and the Children’s Water Education Festival. 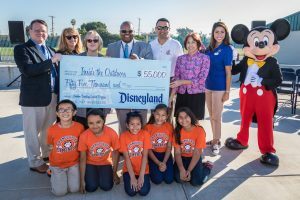 In 2018, the Disneyland Resort donated $55,000 to Inside the Outdoors to sponsor a Traveling Scientist program, visiting dozens of Anaheim schools.